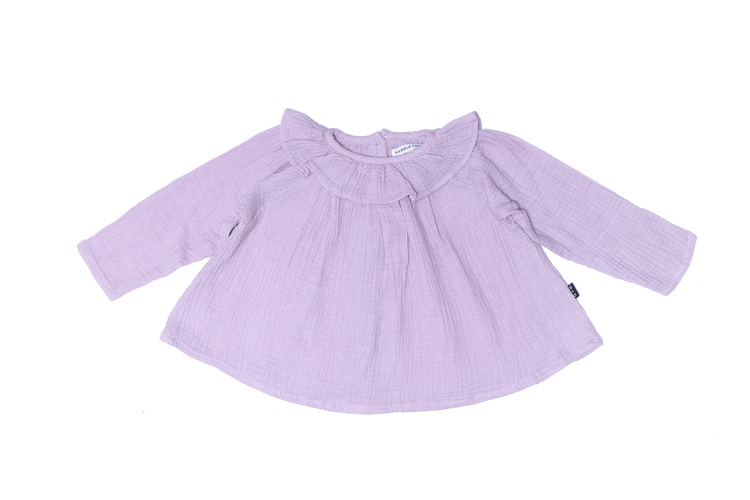 Frida Smock Top in stunning lilac colour. 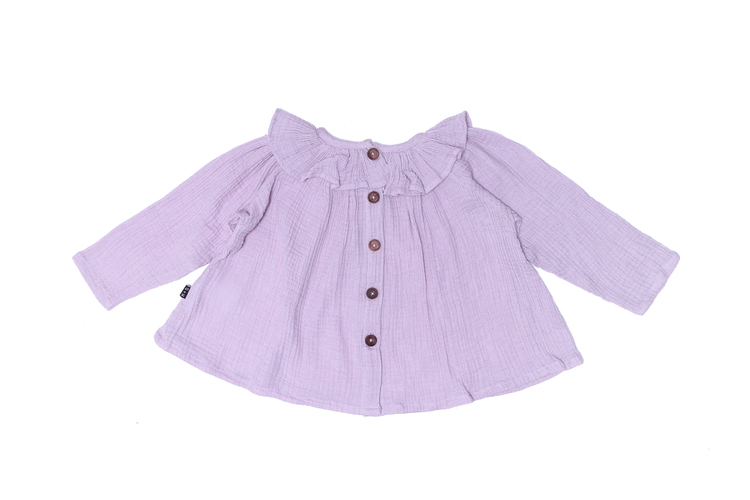 A new H+D Classic, with a gorgeous Pierrot Collar frill neckline with H+D Logo resin buttons down the back! Size up, roll the sleeves and this smock top works just perfectly as a dress! We hope this lasts in your daughters wardrobe for years!